Valentine's day is just over a week away! 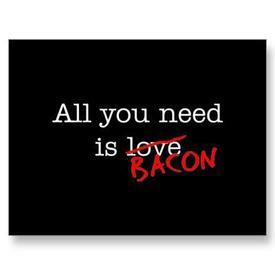 We know what your sweetheart wants - BACON!! Special Valentine's Day Offer for Bacon Lovers! FREE Gift card and personalized message with your chocolate purchase at www.baconaddicts.com from now until Feb 14, 2013. To receive your free gift card, please comment below with your order number and your gift message (or send an email to [email protected] with the same info). Need some SWEET Valentines ideas, we offer a delicious assortment of Bacon Chocolates, including Bacon Chocolate bars, Bacon Chocolate brittle, Bacon Chocolate Toffee, Chocolate Covered Bacon, Bacon Chocolate Oreos and delicious sampler packs! 24 pc Candied & Chocolate Bacon Sampler: http://www.baconaddicts.com/products/candied-chocolate-covered-bacon-ultimate-sampler-pack-milk-dark Bacon Chocolate Oreos: http://www.baconaddicts.com/products/bacon-chocolate-covered-oreos-oreo-cookies Deluxe Bacon Chocolate Sampler: http://www.baconaddicts.com/products/deluxe-bacon-chocolate-sampler-pack See our full selection of Bacon Chocolate here: http://www.baconaddicts.com/categories/bacon-chocolate AS AWLAYS - FAST & FREE US SHIPPING! !